Scheme signs should be clear and consistent. Through the provision of a complete package of services tailored to our Clients’ precise requirements, Rennicks offer a wide range of scheme signs. 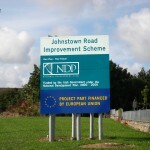 These include National Development Plan (NDP) and Department of Transport (DoT) signs, as well as standard project scheme signs. 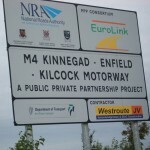 We also offer sign installation, as well as post and foundation design.